With much forethought and work one can generate a decent narrative report for individuals, family lines or all your family, but one thing missing is the ability to add photos, as many and where ever you want. Yes you can add blank pages when you use the publisher and you can add photos to them, and you can produce a scrap book section of the book. However the blank pages only fit between chapters and if your whole narrative of multiple generations is one long chapter, one could have hundreds of pages with the few small photos RM allows. A long narrative report/book can be tedious to look at and read, without the 'break' we get from photos interspersed throughout, and not just the one, limited size photo per individual that RM allows. I would like to have the ability to add more photos. For example, it would be nice to have the ability to add a wedding photo after with the marriage fact, a graduation photo with the high school and university fact. One, perhaps easier option to implement, would be to allow photos at the end of each generation or at the end of one individuals main entry in the narrative report. One would need the ability to size these or perhaps have a number of 'sizing' options. Probably a big order but I think it would be well worth while. Yee-hah!!! I would really love to able to have more images, with size and location flexibility, throughout my Pubisher books. Wow, what a great idea! I don't think I have ever come across that ability in any other program I have used. I hope the "tracking system" goddess is listening . Actually, do you think it would be possible to create the report in rtf format, then insert pics using a word processor?? Yes you can insert photos in the exported Rich Text Format file but I believe that this "messes up" the page numbering system and indexes. I don't know if one could renumber the pages with the file in WORD and then re-index. Might be possible but not for amateurs I would think. 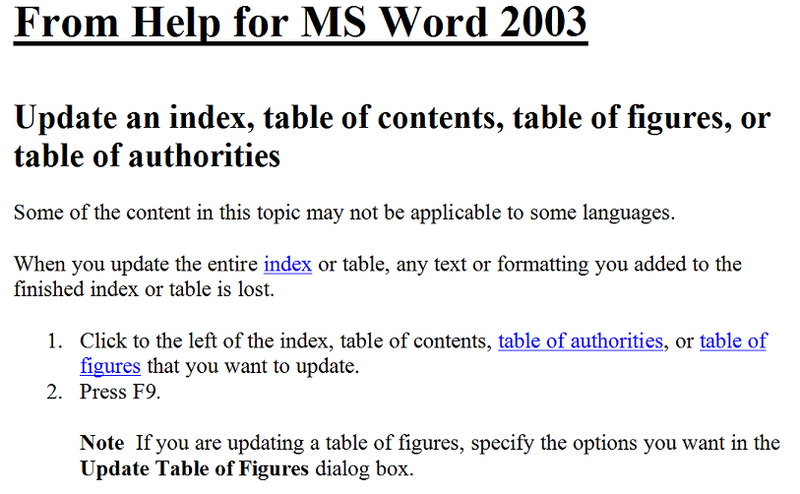 I use MS Word 2003, other versions behave similarly. Repagination is automatic, and happens in the background as you create and edit a document.You can control pagination by inserting manual page breaks, and by setting paragraph controls. I regularly edit RTF files produced by RM and then update the indexes by clicking F9. There are can be some tricky aspects to getting it right, but overall it's a pretty standard procedure. Confirming enhancement requests are in our tracking system.